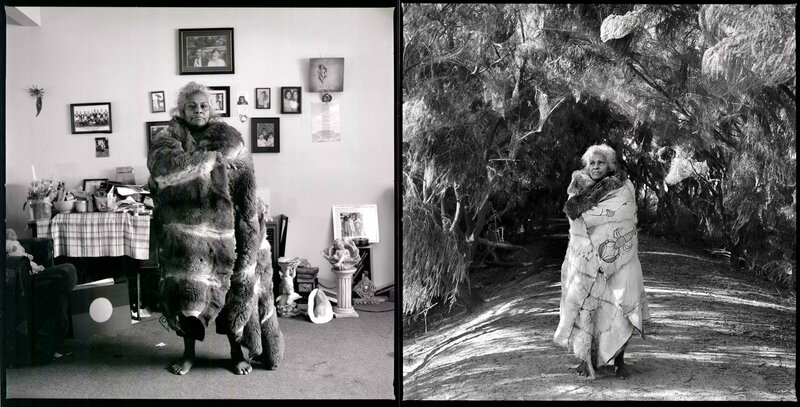 Home / On Country: Baraparapa Elder Esther Kirby, silver gelatin print, 60x60cm, Koorie Heritage Trust, 2011 Esther Kirby uses her art to bridge the cultural divide between traditional and contemporary life. Taught to carve emu eggs by her father Billy Murray, she has exhibited her work nationally and internationally, including at the International Women's Conference in Beijing, China in 1995 and the Melbourne Commonwealth Games in 2006. She is passionate about keeping her culture alive. She consults on Koorie culture and heritage for native title and works closely with young people in her community. In her role as a Baraparapa Elder, Aunty Esther worked with her community to decide what stories would be told on the cloak about their Country. As the artist, she was responsible for expressing those stories through her own designs.